I am currently reviewing this title for the site, and I hope to have it ready very soon. You can check out the press release below for even more info. Burlingame, Calif.—February 9,2016—KOEI TECMO America is pleased to announce the release of anime-based tactical action title Arslan: The Warriors of Legend for the PlayStation®4 computer entertainment system, and Xbox One, the all-in-one games and entertainment system from Microsoft via retailers across North America. The game is also available digitally for the PlayStation®3 computer entertainment system as well as for PC via Steam®. Those who purchase the game via Steam® before February 19 will receive a special 10% discount. To further expand upon the game’s roster of characters, KOEI TECMO America today revealed an additional two characters, this time from Arslan’s enemy camp! The first is Hilmes: the mysterious man behind the Silver Mask and Arslan’s arch-rival. Hilmes has temporarily aligned himself with Lusitania, though his end-game appears to go deeper than simply leading the attacking forces to victory. By his side stands Zandeh, a highly skilled sword protector. Both characters will be playable in the Free Mode of the game once they are unlocked via completion of the game’s bonus scenarios. Additionally, three more stages have been revealed: a small Village, the imposing Zabul Fortress, and the vast Keep of St. Emmanuel, which stages the last act of Arslan’s exciting adventure amid its labyrinthine streets. The game adaptation of this magnificent story seamlessly blends the fast-paced tactical action gameplay of the Warriors franchise with a stunningly engaging narrative. 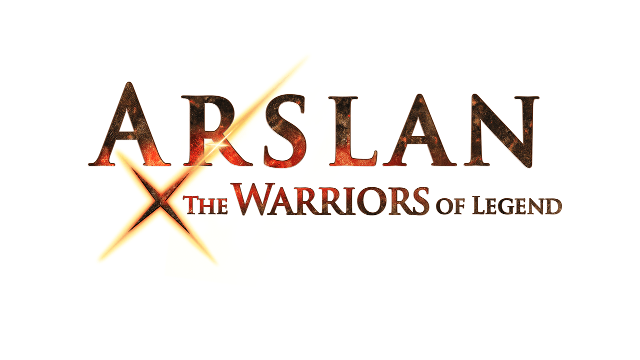 Using cel-shaded graphics and basing all character design on the anime series, Arslan: The Warriors of Legend delivers a gaming experience designed to fully immerse the player into Arslan’s universe. Published by KOEI TECMO America, Arslan: The Warriors of Legend is now available across America on the PS4™ system, Xbox One, and digitally for PC via Steam® for a suggested retail price of $59.99. The game is also available digitally for the PS3™ system for $49.99. This title has been rated “T for Teen” by the ESRB. For more news and information on Arslan: The Warriors of Legend, please visit the official website at http://www.koeitecmoamerica.com/arslan, Like KOEI TECMO America on Facebook at www.facebook.com/koeitecmous, and become part of the #KTfamily by following KOEI TECMO America on Twitter at @KoeiTecmoUS. ©2015 Hiromu Arakawa, Yoshiki Tanaka・KODANSHA/ “LEGEND OF ARSLAN” Project Committee, MBS. All Rights Reserved. Xbox, Xbox 360 and Xbox LIVE are registered trademarks or trademarks of the Microsoft group of companies.